Since the government began “prioritizing” the deportation of unaccompanied children and mothers with children last summer, legal service providers and other court observers across the country have reported that immigration judges are giving children less time to find attorneys before moving forward in their cases. Now, children without attorneys are being forced to explain why, under our incredibly complex immigration laws, they should not be deported. And when they are unable to do so, unrepresented children are told to “voluntarily” depart or are ordered removed. Last week, the child plaintiffs in J.E.F.M. v. Holder, a nationwide class action seeking to ensure that all children in immigration court have legal representation, submitted declarations from observers and attorneys describing problems that have resulted from these “rocket dockets” in five different immigration courts. In J.E.F.M., the plaintiffs are challenging the government’s long-standing failure to provide counsel to children in immigration court and asking the court to order the government to appoint legal representation for unrepresented children facing deportation. As the declarations demonstrate, children need counsel immediately. In Dallas, court observers witnessed an aunt tearfully trying to submit an asylum application for her nephew even though the family did not seem to understand the application process or form. They also observed children agreeing to orders to leave the country after an immigration judge assured them that they did not qualify for relief to stay in the United States. But the judge makes these assurances after only a brief conversation with the child in court—in some cases, apparently in spite of signs that the children might be eligible for relief like Special Immigrant Juvenile Status. At recent hearings in Atlanta and Houston, children received continuances of just two or three weeks to look for attorneys. In Atlanta, unrepresented children who decided to proceed on their own because they were unable to afford attorneys also were left with only two weeks to prepare and file their own asylum applications. And this is only if the children are able to get to their hearings. If not, they may be ordered removed in absentia. Yet in many cases, the government is to blame for a child’s failure to appear since children regularly do not receive sufficient notice of their hearing dates or may be scheduled to appear in a court on the other side of the country, which can be especially problematic for children without attorneys. One lawyer provided a telling anecdote in her declaration: two of her child clients, who had never lived within the jurisdiction of the Atlanta Immigration Court, were nonetheless scheduled for hearings there on two separate occasions. After intervention from the attorney, both of the cases were eventually transferred to the appropriate court. But court staff informed the attorney that, for unrepresented children, the court will not transfer a case to another court unless a child appears first for a hearing in Atlanta. Such a policy leaves children with the choice between a prohibitively expensive trip or an in absentia removal order when the government mistakenly schedules them for a court hearing hundreds of miles away from where they live. As the JEFM declarations show, children on priority dockets are too often rushed through immigration court with insufficient safeguards to ensure that they receive proper notice of their hearings and that they have a real opportunity to learn whether they may be eligible to remain in the United States. At the same time, the government is pushing hearings for “non-priority” adult cases to 2019. This mismatch of priorities is not fair—and the treatment of children is not constitutional. 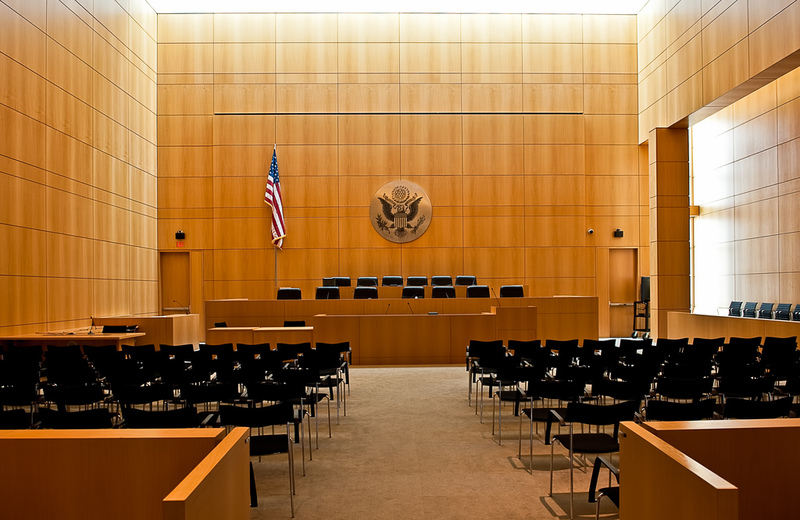 Children cannot have a truly fair hearing in immigration court without legal representation.